RUBIE RAE OFFERS YOU THE EXPERIENCE TO CREATE A RING JUST FOR YOU. 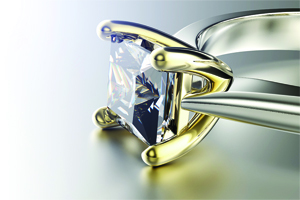 Rubie Rae create engagement rings, wedding rings & eternity rings, designed just for you. The time you spend with us creating your one-off engagement rings, wedding rings & eternity rings will be inspirational, engaging and rewarding. It will be a journey of discovery with some of the most creative designers and experienced goldsmiths in the country. Jewellery should reflect you as an individual. We all have our favorite thing we like to wear, walking into a room and someone has the same outfit as you can be embarrassing. Imagine how you would feel if someone had the same engagement ring, eternity ring or wedding ring. Would that make your feel special, treasured and loved by your partner. Going that extra mile and creating an unique piece of jewellery, they will love even more. Without spending any extra we can make your dreams come true. Designed and made just for you. At Rubie Rae it will be about creating the perfect engagement ring just for you – one that will truly symbolize your relationship. For the same budget you would spend on the high street, we can custom design and make that individual ring. If you are overflowing with ideas, or need some inspiration. Our design team will be able to offer you a selection of options based on the information you provide. Every step of the way we are here to help, not only will the design reflect your style but also your budget. Your design could be based on a memorable holiday, or include something of your life, or perhaps you’d prefer something simple and classic. Whatever part of the country you’re in, we can work with you. We may be involved in a very traditional craft, but we combine it with the latest technologies. We are equally as comfortable designing with you over the internet as they are over the phone or in person.